Insider.in is the official ticketing partner for Mumbai City FC, FC Goa, Jamshedpur FC, Kerala Blasters & Delhi Dynamos. The 5th edition of the Indian Super League is underway with defending champions Chennaiyin FC looking to add a record third trophy to their cabinet. Expect Youtube-worthy goals, brilliant attacking flair, solid defensive organisation and innovative tactical changes. With new managerial appointments, exciting foreign talent and the best of Indian football’s experienced and young stars looking to make their mark, the 2018-19 Indian Super League promises to be the best one yet. After an enthralling 2018 leg, the 2019 half of the 5th season of Hero ISL kicks off! Some matches are out now, others will go live soon. Tickets to their home matches are live - catch the high-octane action now! Get a free Paytm movie voucher worth ₹250 on a purchase of 1 or more tickets. Tickets are live for their home matches, grab yours now! Get a free Paytm movie voucher worth ₹150 on a purchase of 2 or more tickets. 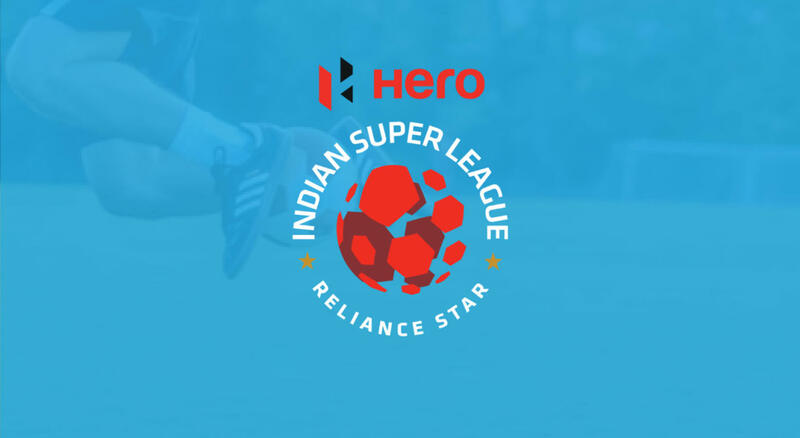 Sign up for updates: Jamshedpur FC and Delhi Dynamos FC! Be the first to know when their matches go live! The Blasters enter 2019 with a new coach at the helm and new vigour to get them back to the previous glory. Can they make the most of their remaining games and turn their fortune around? Buy tickets to Kerala Blasters FC’s home games here. FC Goa started Hero Indian Super League Season 5 on a high. They currently sit third in the league table and their form and quality can see them go through to the knockout stages comfortably. But can they make this season their most memorable one by going all the way? With only a solitary loss and four wins, the men of steel sit 5th in the table, just a point off the top four qualification spots. With the quality at their disposal, it won’t be a surprise if Jamshedpur FC qualify for the semi-finals. But can they go all the way and make history? Be a part of the action at the Furnace, buy tickets here. With a thumping win at home against Kerala Blasters, the Islanders ended 2018 on a high. The Mumbaikars enter 2019 placed second in the table, three points behind league leaders Bengaluru FC. Can they continue their momentum and finally achieve the elusive ISL glory? While the team hasn’t performed as well as their fans would have liked, they’ve looked formidable, with a perseverance and fight to win oozing from their game. They still have the ability to cause a surprise, but all they need is a little push. ISL coach of the year 2017-18 John Gregory will look to make it a record three trophies for the side from Chennai. Can Jeje and his goals lead them to glory? The arrival of new manager Steve Coppell signals an exciting new phase for the Kolkata franchise. After two trophies in the first three years, 2017-18 was a let down. Can they bounce back strong? Bengaluru FC’s debut ISL season was a tremendous success. Sunil Chhetri and his side will aim to go one step further this time and they have all the tools to do so! With heavy focus on youth development and with a passionate fan base behind them, the Highlanders will look to finally achieve the results of their long term planning. A young, exciting team to watch out for! Pune finally hit their stride last season, making the semi-finals for the first time. With crowd favourite Iain Hume signing on, the Orange Army will be expectant, and rightly so!